계립령은 『삼국사기』에 신라 아달라왕 3년(156년)에 길이 열렸다고 기록되어 있으며 고구려와 백제의 영토 분쟁 역사가 전해오는 오랜 역사의 옛길로, ‘하늘재’는 계립령 중 미륵리 절터에서 문경으로 넘어가는 고개의 이름이다. 옛길을 따라 형성되어 있는 작은 계곡과 주변에 펼쳐지는 월악산의 아름다운 자연경관이 옛길의 정취를 더해주는 역사적, 경관적 가치가 큰 명승지이다. 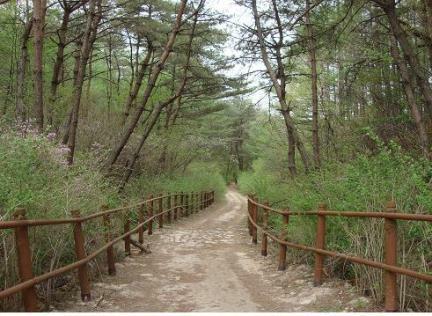 The road over Gyerimnyeongno Path was opened in 156, the third year of the reign of King Adala of Silla, according to Samguk sagi (History of the Three Kingdoms). 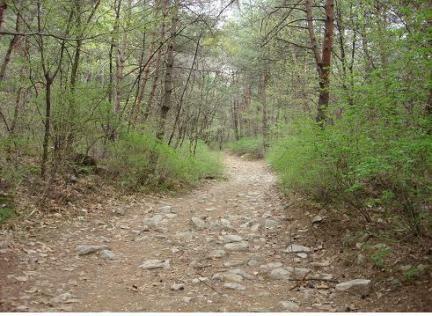 Haneuljae, meaning “Sky Pass,” refers to a hilly section of this road running from a temple site in Mireuk-ri to Mungyeong. The area has a history of constant territorial conflicts between Goguryeo (37 B.C. - A.D. 668) and Baekje (18 B.C. - A.D. 660). Small valleys along the ancient road look beautiful against the scenic backdrop of Woraksan Mountain.